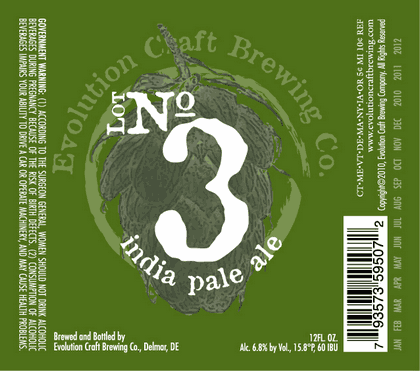 Here are three labels by three different breweries that play with asymmetry as a composition element. The first is by Schlafly, the famed St. Louis brewery. 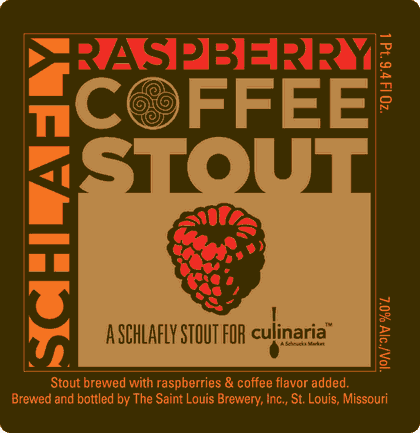 The raspberry stout was brewed for Culinaria, a local chain of stores. It's a fairly straightforward woodcut style. A few colors (remember... cheaper printing and starker appearance) and use of warm earthy tones keeps the few colors that they use popping out. But for the purposes of this post, let's look at the composition. The image is oriented around a central focal image, the raspberry, but stays interesting by putting the large block of orange text to the left and the name of the beer to the top, with nothing on the right or the bottom. Even the use of the Culinaria logo to the right of the text at the bottom keeps that very small piece from being boring. The use of asymmetry makes a simple label more dynamic and keeps the eye moving. This is in here because it, too, is a central image surrounded by one or two colors. They make the circle a little bit of a swirl, but the real asymmetry is in the monstrous hop that's a little grotesque and tilted. Then the white text over the godzilla hop mirrors the tilt by putting more words at the top and to the left. Not a ton of elements, but it makes a lot with what it has. Using the Rorschach test ink blots as a motif, the central image is by definition symmetrical, and the text inside it is, too. But in this case, the use of color keeps the image interesting. Switching colors in text, and the positioning of just one blue splash on the lower left, ensure a type of visual unevenness. 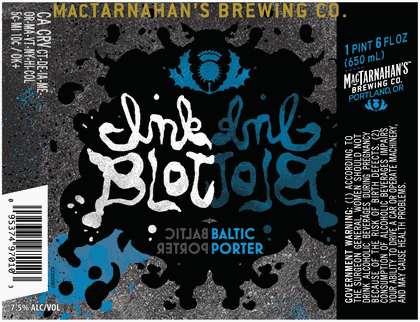 The thing I think that makes it cool is the MacTarnahan's logo in the center at the top in blue. The fact that it's central and remains the same color heightens the contrast in the rest of the piece. All of these labels use limited color palettes and appear symmetrical in basic composition, but use subtle techniques to keep the art dynamic.